Who would have thought that a Jamaican swimmer and water polo player from uptown Kingston would introduce the world to authentic dancehall music? Clearly Shaggy has become a worldwide household name by breeding pop with reggae. Even Bounty Killer got a glimpse of the top when he collaborated with pop superstars No Doubt on the Orange-County-flavored track, “Hey Baby.” But the torch is now in Sean Paul’s hands as dancehall ambassador, and he vows to stay true to the genre. 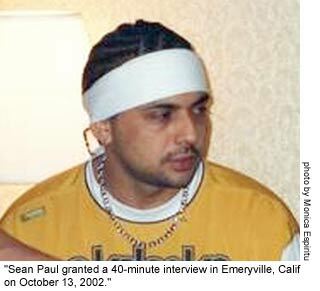 Sean Paul, whose hit single “Gimme the Light” recently hit #11 on the Billboard Hot 100 chart, and whose accompanying video is in medium rotation on MTV and BET, is mingling with the upper echelon of the U.S. recording industry—he recently voiced tracks with hip-hop superstars Jay-Z, Busta Rhymes, and Mya. He has meanwhile maintained island loyalty by recording and collaborating with local Jamaican artists such as Cecile and Sasha, which has concurrently kept him at the top of the Jamaican charts. He began working seriously in the reggae industry in 1994, and garnered a significant West Indian following with danceable tracks like “Deport Them,” “Hot Gal Today” (with Mr. Vegas), and “Infiltrate,” by being down to earth and true to himself. His first album, “Stage One,” [VP, 2000] was a testament that full-length dancehall albums could be good, and it put him on the international reggae map in communities like New York, London, Miami, Los Angeles, and Toronto. 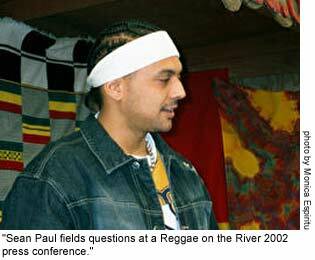 October 13, 2002 was Sean Paul’s first time in Oakland, California, although two months prior he had played to a crowd of 10,000 at the Reggae on the River festival in Humboldt County. The show was at Kimball’s Carnival in Jack London Square, an unlikely venue for Bay Area reggae, and the promoter had pre-sold 500+ tickets. A definite sell-out. LG: How did you get started with the music? SP: I started by being a lover of music. I came up in the biz about 1994. I was in school before that always doing small little lyrics and songs. By the time 1994 came around, I started doing long demos like 4 minutes long—songs with four verses. Then the vibe changed where I shortened my verses, started to get catchy hooks, and found out which hooks were needed from me. LG: Which artists inspired you at that time? SP: When I first came out, I was listening to Tony Rebel, Buju Banton, Terror Fabulous, and those cats— just their styling, I was into them a whole heap! They encouraged me a lot. I was also trying to be more of a conscious deejay too at that time. I had lyrics that I wrote about society, about life, social issues in my country and in the world. LG: What made you change your focus? SP: A lot of producers at home were saying, “We don’t see that from you right now.” The market was saturated at that time with [conscious dancehall artists like] Buju, Louie Culture—all those people were hitting right then. Not only was the market saturated, but it was also about that time when people wanted to hear more “jump up, jump up” girl stuff and party club music. I started doing that just to try to get an edge and it just kept taking off. I stayed in that realm. LG: Exactly. How do you get ideas for lyrics? SP: My lyrics come from my experiences growing up in life, trying to find out and express who I am. That’s basically it. I’m not trying to be a prophet or anything like that. I’m just reflecting on life. LG: What do you make of some of the artists who claim to be prophets? SP: A prophet is someone who talks of behalf of someone else, and it’s usually of God. So if you believe that you are talking on behalf of God then you can call yourself a prophet. A prophet is not necessarily someone who is going to tell you the future, but if you feel that that is your title, then it is a good thing. To me, I’m just doing music. LG: You’re gaining so much popularity and clout right now. “Gimme the Light” is currently #5 on the KMEL charts, which is our hip-hop station here in the Bay Area. How much did hip-hop influence you and which artists do you listen to? SP: As a kid, one of my favorite albums as a youngster was Slick Rick—the storyteller. He was doing things I had never heard before, like rapping and using a second voice, answering himself, and telling a story at the same time. It was very creative. I also understood that he was a Jamaican. He was a big influence in how I like to present a song. I don’t use different voices like that but I’m trying to tell a vibe in my songs every time, not just a song about this or that. I have to give respect to KRS-One. I also have to big up people in the hip-hop industry that were closely linked to Jamaica—Special Ed, Heavy D, Shinehead, the BDP [Boogie Down Productions], KRS-One, Busta Rhymes, Christopher Wallace—all of these people have linkage to Jamaica or to the Caribbean. There are a lot of other kids: Rakim, some big vibe from long time. Snoop [Dogg] was a big album for me in 1994 or 1993. It sounded like he was freestyling all the time—it sounded hot. I used to check out Biggie. Nas to me is just very, very deep. When you listen to what he’s talking about, you might have to listen back quite a few times to get what he’s really saying. I love songs like that because you can really meditate. It’s not just blunt up in your face—you can play them over and over and keep finding new things about the song. So I really love that vibe. LG: Which artists do you get compared to or lumped with the most? SP: When I first started, Supercat was a mentor of mine and there was a definite link there. People knew that. People also said I sounded like Spragga Benz. The simple fact was that I looked up to these kids. I was the same age as Spragga and Buju. When Buju was bussing Jamaica, I was 19 too. I was in school at the time and so I looked up to them. Even though we were the same age, you can look up to people around you who are doing positive things. I took the positive that they did, what they showed me that you could do with your life and was like, “I could do that too.” It just went from there. I’ve been compared to Supercat, Spragga Benz, and that vibe, but same way, people say that they heard me spawn into my own thing. We have to realize that music has been around since the beginning of time as sounds and patterns. Developing your own pattern into what everyone else has already taught you is all that music is. LG: You’re album’s release date has been pushed back a number of times. Is some major label going to get on the bandwagon and distribute it? SP: I’m very happy to say, actually, that last week I signed papers with Atlantic Records. SP: Respect! There were a lot of rumors out there about why the album was being held back. I couldn’t say anything at the time until it happened, so I’m glad to say I’m going to get some more videos. It’s going to happen right now—big vibes! SP: It’s my biggest hit to date. 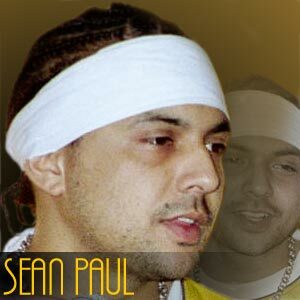 SP: In many of my other songs I use English words but I mix them more heavily with patois. “Gimme the Light” speaks on behalf of people who are clubbing and it uses club words like “draw,” and “Mo‘t” [champagne]. Those words are included in the singing hook and I think they hook people in terms of: they hear it, can sing it back, and can understand what I’m saying. I have another song [entitled “Get Busy,”] on the “Diwali” rhythm that says [sings] “Get busy, just shake that booty nonstop when the beat drops; just keep swinging it, get jiggy.” That’s straight slang from the United States. I think the language I use is one of the reasons I’m hooking people out there. But dancehall as a whole has gotten so much more clever. Songs have more substance. SP: Yeah, more layers. There are artists out there who are writing songs that are more universal and not so local. I think dancehall is just pressing on in that format. I just happen to be blessed and be the lucky one in this seat right now. LG: How did you link up with Troyton [Thomas] who co-produced the Buzz rhythm? LG: Are you based in Miami now? SP: No, I’m still based in Jamaica, but I’ve been traveling a lot. LG: Where in Jamaica are you located? SP: I’m in Kingston. I live in uptown Kingston, which is St. Andrew. I have to comment on it. When I first came into the biz, everyone hailed me as an uptown deejay. It’s unusual that people from uptown gain a lot of success in the biz. I showed love to everybody—I didn’t try to snob out anyone. When my career started to take off, people knew me as a kid who was down to earth. I think that has helped me now. SP: Yeah. Damian has a kid in his group, in his whole vibe right now who is a brethren of mine, Daddigan. Daddigan started the whole Dutty Cup Crew with me. He is on Jr. Gong’s album and is trying to do his own album in New York. It’s just great to see that. After all these years, music is living on in all my brethren in the Cup, so I still have to big them up. LG: With your popularity growing, how do you feel about celebrities being role models? Do they have some responsibility to the public? SP: Yeah, they definitely do! I think kids should have a mentor and a role model, but that they shouldn’t take one person’s opinion to be what we call final assessment or judgment about how life is supposed to be. A kid would hear me say, “Just gimme the light and pass the draw,” and what I want him to get from that is that there are some things you do when you’re at a party. That’s a whole party song and I hope that kids get that vibe from it. Kids should also learn not only from music, but from TV and books, from school, and from their friends. Be around various people. Don’t let your mentor be something that’s just one strain of thing. Music tells you about the artist and what they were thinking about at the time, because the person has to think about it to sing it. I do feel I have a responsibility to the youths. For real. LG: Do you work with children a lot? SP: Actually, no. I haven’t worked with kids in a long time. I used to swim for Jamaica and played water polo. Sometimes in the summer my coach would have summer camps and I would work with kids at that time. I do feel that I would like to get involved again with kids in Jamaica from a sports perspective. That’s how I see myself giving back to the community. Sports helped me gain a whole positive vibe about myself, a whole “physical-ness” about myself. It gave me discipline and determination. I would like to hold basketball and swimming competitions, and sponsor events where kids can take part and see that sports can pay off in certain times. Sports take your mind off of violence, it expends energy, and allows you to meditate on your own self to move yourself forward. LG: Yes, they say that when the mind is in synch with the body, everything else falls into place. LG: I saw the segment with you on “BET Tonight with Ed Gordon,” and he said that reggae will always be “some people’s party music.” That might be true, but it’s much more than party music. How can we dispel that myth? SP: It is much more, of course. Dancehall is just like hip-hop in that it doesn’t always talk about bling; it talks about conscious issues. In the dancehall you could move to a very religious sounding song. In the dancehall you could hear a very harsh sounding song, but it represents a part of society that’s out there in the world. In the dancehall you could hear a song that’s just hyping up the ladies and everybody enjoys when the ladies are enjoying themselves, even the men too. It’s a music that speaks on many different issues. I don’t see any other music like that. In the dancehall arena, look at me—I’m the girls’ deejay, and even I have conscious songs that are out there. Dancehall is a music that is digging into social stuff. LG: Speaking of being the girls’ deejay, I’m sure the women out there want to know what your status is. SP: [laughs] A question that is always popping up! Definitely. I have been in the biz for a lot of years. When I first started out, I had a girl and we broke up. I went through a long, long stage of groupie vibes and being out there. It just so happens that at this time, when I’m about to break onto a bigger international scene, I do have a little girlie in Jamaica. She basically grew up close to the family and that’s my girl. LG: That’s really positive to hear. SP: Straight! Sometimes you have to take a break from being a crazy kid. You can’t be doing that all the time. Sometimes you just have to pay respect to your own simple-ness. LG: So true. Have you noticed your privacy starting to slip away a bit? SP: [laughs] That’s funny! Boy, I’m not really a public person. It’s good to know that people appreciate the vibe. I don’t think that people are being hectic around me or rushing the vibes for any other reason than they appreciate that. So I have to appreciate them for appreciating my music. LG: Get on the bandwagon. SP: Yeah! I would hail them up and they would never show encouragement until they saw certain things. It just goes to show that a lot of people listen to reggae music—a big demographic throughout the world, throughout the universe. You have to know that basically reggae artists need exposure, and that is what’s happening right now. We’re getting exposure for authentic dancehall tracks right now—on BET, MTV, on all the radio stations, and it’s just bigging up reggae all that more. I love that vibe! Even hip-hop producers have become more dancehall-oriented. You can look at Timbaland and The Neptunes. On the “How High” album, Redman and Method Man paid respect to a dancehall track. LG: Missy Elliott . . .
SP: Missy, there’s Tweet, there’s Miss Jane, there’s Benzino—all of these artists are quite dancehall sounding. Busta [Rhyme]’s new album has some stuff on it. I just feel that it’s the next music. I just did the “Gimme the Light Remix” with Busta. LG: When does that release? SP: It should be out in a couple weeks. It’s on the same rhythm. That’s the funny thing and that’s the thing that I really respected about Busta— they said to him, “We want to do the remix,” and he said, “Alright, but just don’t put me on any other rhythm. I’ll go on that same rhythm,” because he loves the rhythm and that’s crazy! LG: I remember a couple of years back when “Hot Gal Today” came out, there were rumors about a scuffle between you and Mr. Vegas. Do you want to talk about that? SP: [laughs] Yes, the scuffle . . . Sometimes the dancehall business is so small. In Kingston alone, there are like 10,000 artists—a lot of artists! So there’s a lot of competition. Even though I’m not a clash deejay, the rivalries don’t always come out in the public eye. I’ve had my fair share of competition between people, and friends too. Vegas and I did “Hot Gal Today” and it blew up because it was a big hook and the togetherness that we had hadn’t been done recently. It ended up being a big song and then my album was ready to go and this song was on there. Vegas didn’t have it on his first album. VP Records owned the song, and they put out a single because it was still hot in New York on Hot 97. My picture was the only one on the cover of the single. Vegas got upset about that and basically, there’s no hatred now, but at the time it was very hectic between us. He wondered why I would let that happen. I tried to explain to him that things don’t always happen the way I want them to all the time. There are times where I tell [the record label] to do things and they don’t do them. Sometimes they don’t tell me what they’re going to do, and they just do it. I didn’t know it was going to be made a single off of my album. Basically, it was a mix-up between the record companies. They wanted to do a video with me and Vegas, and Greensleeves, which was his label, didn’t want him to be in the video because VP wouldn’t give them the song for his next album. It was really between the record labels, but he got involved because Greensleeves ran back to him and said, “Sean don’t want . . . ” and Vegas came back to Jamaica and went on TV and said, “I’ve been downtrodden because of this and that.” It was just a competition vibe. Right now, it’s all good. He did a song after that saying he wasn’t going to do any more songs with me. It’s just a vibe—you have egos. LG: True. Those competitions are bound to come up, I think. The Cecile single [“Can You Do the Work” on the Liquid rhythm] is very hot right now! Who would you like to work with whom you haven’t had a chance to yet? SP: In the music industry in Jamaica in terms of the ladies, I’ve really liked J.C. Lodge since I was a kid. Other than that, I haven’t worked with many artists in terms of combinations because I did that one song with Vegas and the scuffle came out of it. It was just a lot of hectic vibes, so I kind of choose who I want to work with. Back in the local production in Jamaica, I’ve had chances to do songs with Beenie Man before and I didn’t really want to do it, because back at that time, I didn’t want to be labeled as someone who was following—either Beenie Man or Bounty Killer. Those were the two biggest cats while I was growing in the business for a long time. So I just kind of eased off and didn’t do any songs with any of them. I did two with Vegas at that time. I just did the combination with Cecile the other day. I did a song with Chico, which is called “Ganja Breed.” It hasn’t been heard too much before. It’s on my album. Chico is a talented dancehall singer that a lot of people don’t play enough. He’s doing original songs and people should respect that because big singers in the industry often don’t sing their own material. To have a kid who is doing his own thing and is sounding great, that’s a blessing and you have to big that up. I did a song with Sasha. A couple of years ago she did a song [sings], “I would like to get to know you baby, like to . . . ” ‘pon the dancehall “Deport Them” rhythm, Bookshelf. So she came back and did a song called “I’m Still in Love,” with me [produced by Steely and Cleevie], and this tune is basically #1 in Jamaica right now. Also, “Gimme the Light” just went to #1 too, by the way. So the vibe is good with the combinations with Jamaican artists. I also did a combination with Tony Touch, who did the “Piece Maker” in New York—he’s a Puerto Rican deejay and a rapper and he breakdances on the stage and all that. He’s bigging up a Spanish vibe in the song. I also did a song with Rahzel from The Roots—he’s a human beat box so he did a lot of sound effects in there. I’ve worked with the Neptunes. I have a Jamaican kid on that track, his name is Fahrenheit—basically I’ve known him for years—I used to go to school with him and he’s part of my road management team. He did the hook for me on the song that I did with the Neptunes. The Neptunes put me onto different things too. Big up Beenie Man because I met the Neptunes when Beenie Man put me on his track with Lady Saw. Then the Neptunes put me on the Clipse’s remix which is featured on their album, you see me? Right now I’m doing another remix for them. I did a collaboration with Mya this summer on her album [a track called “Things Come and Go”]. I’m just finishing up something with Blu Cantrell for her album soon and I’m supposed to do a De La Soul track soon. They gave me a rhythm. I’m going back to New York tomorrow to do a hook for Jay-Z. SP: Yeah! Big vibe. It’s just a hook. A lot of the collaborations I’m doing involve a second verse and a hook. The people do their song and then I put a small hook and a verse to it. I well-wanted to work with No Doubt. No Doubt was a big, big thing for me—I missed it. I was upset. I didn’t get to meet them while they were in Jamaica at all and I’ve been a fan of theirs since [their track] “Don’t Speak.” I did a version of their song called “Gun Speech.” It was a conscious song. It didn’t really go to many places but I had to give respect to that melody. It was more like a dub than anything. LG: I’m sure people say that you’ve crossed over, just like they did with Shaggy, and with Maxi Priest. How do you stay true to your roots? 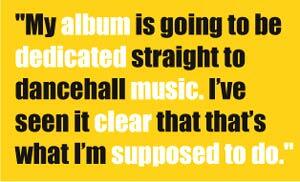 SP: I want my album to define what dancehall is. I don’t want people to say, “Oh, but he’s pop,” “Oh, but he’s this,” “Oh, but he’s that.” So I’m doing mainly dancehall tracks. I work with producers who have proven [reggae] hits over the past fifteen, twenty years, such as Steely and Cleevie, Sly and Robbie, King Jammy’s, and Tony Kelly. The only track on the album that hasn’t been recorded in Jamaica is the [Ronson] one that Electra/Atlantic got a hold of, which was recorded in New York. In my albums, I try to define what dancehall is. I don’t want people to be confused. I’ll do step-outs with Mya, and Jay-Z, and whoever, and I’ll be on their R&B rhythms and that’s great—I would love to do rock too—but my albums need to define what that music is about. I don’t claim to be a big R&B singer. I know what I can do; I know what my assets are and that’s what I’m hitting at. LG: I don’t want to keep you much longer, but the album comes out when? SP: November 12, 2002. It’s been pushed back to November 12, because of the Atlantic thing. They’re getting everything in their mainstream line ready to come out. They’re also working with “Like Glue,” my next single produced by Tony Kelly, which should be the next video. It’s on the playlist on Hot 97 in New York right now. Some of these tunes have been added naturally because the selectors pick it up and start playing it. The people in the studio are listening to the mix show deejay and asking, “How come you’re playing this kid so much?” and they respond, “because he’s hot. He’s playing in the discos.” So it’s authentic. LG: I have to tell you that the biggest dancehall act we can draw here in Oakland is Buju [Banton]. Anything harder than that will not draw a crowd. T.O.K. hasn’t come, Lexxus hasn’t come, so to be here with a sold-out crowd is pretty amazing. SP: I feel big about that, for real! It’s just a good feeling from a lot of people right now. It just proves that dancehall just needs the exposure—more videos, more support that way. This interview would not have been possible or as pleasant without the support from Sean, Joshua, Steve, Jedi, and Monica. Nuff respect!